You Are Here: Home → Are reduced pump prices inflationary? Are reduced pump prices inflationary? While the fuel price reduction impact will not be felt by everyone, it could bring down inflation in the short to medium term, the Reserve Bank of Malawi (RBM) has said. In an interview with Business News yesterday, RBM spokesperson Mbane Ngwira said the developments in fuel prices are in line with MPC’s earlier projections. RBM expects inflation to continue rising in the next few months and return to a single digit later this year when the agricultural harvest season starts. Overall inflation is expected to average 9.3 percent in 2018 and 9.2 percent in 2019 (from 11.6 percent in 2017). The forecasts suggest that the 5 percent inflation objective remains tenable in the next two years, despite inflation temporarily increasing (due to an increase in utility tariffs, fuel prices and lean period effects). “This only confirms our stance that we will maintain macroeconomic stability and achieve five percent inflation by first quarter 2021. If the rains continue on a good note, we may achieve our target earlier than projected,” Ngwira said. 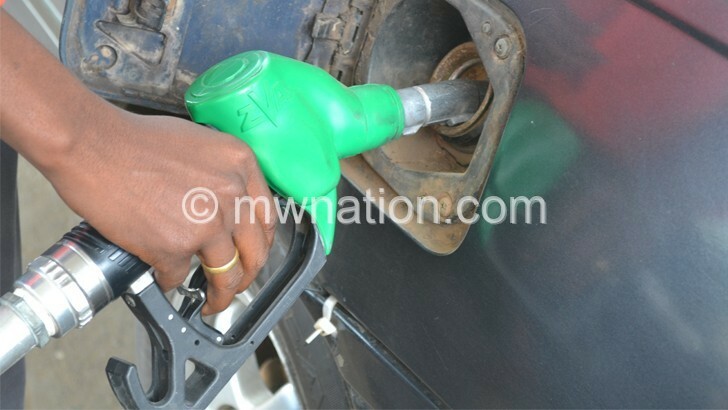 Malawi Energy Regulatory Authority (Mera) on Friday again announced a reduction of fuel prices in response to trends on the international market that Free On Board prices have taken. This drop comes less than a month after Mera also reduced fuel prices on December 15. In a statement dated January 11 2019, Mera chief executive officer Collins Magalasi said the energy regulatory board resolved to revise the fuel pump prices downwards after assessing the international market, exchange rate movements and the resultant impact on the landed cost of petroleum products in the country. Retail pump price for petrol, according to the statement, is now at K868.00 from K923.50 per litre, diesel is now at K874.00 from K949.60 per litre and paraffin is at K710.50 from K781 80 per litre. Fuel prices have a knock-out effect on the cost of transport and goods and services, which in the long run has an impact on inflation. Annual overall inflation on the other hand increased for the fifth consecutive month, rising to 10.1 percent in November 2018, from 8.6 percent in June 2018. The pick-up in inflation was driven by increases in prices of both food and non-food items. To counter inflationary risks, the Monetary Policy Committee (MPC) of the RBM in September maintained the policy rate at 16 percent. The policy rate has been at 16 percent since it was last revised downwards by two percentage points in December 2017 largely due to a decreasing inflation rate, which is currently at 10.1 percent as of November 2018, according to the National Statistical Office (NSO). Meanwhile, Consumer Association of Malawi (Cama) executive director John Kapito said the main beneficiaries when fuel prices go down are people that directly buy it and not ordinary Malawians that do not buy the fuel, but are affected by increased prices of goods. Centre for Social Concern (Cfsc) economic governance programmes officer Lucky Mfungwe said yesterday the downward movement may not have significant impact on consumers as compared to upward movements.